I am not a very adventurous traveller. Despite the stamps in my passports, indicating that I’ve been to quite a few far-flung countries, I am always cautious, terrified of dodgy transport, impassable roads, diseases, bugs, and every kind of peril you can name. My husband will never let me forget how we travelled around most of SE Asia for six months WITHOUT getting on a moped one single time, because I am terrified of motorbikes. How the locals would stare at these pasty Brits huffing and puffing along on PUSHBIKES in the heat, or stubbornly walking away from the bus station carrying massive backpacks instead of accepting a moped ride. I am unapologetic. It must be my love of weird and wonderful food that has spurred me on. I still intend to travel a lot in the future and will probably be just as unmellow as ever! 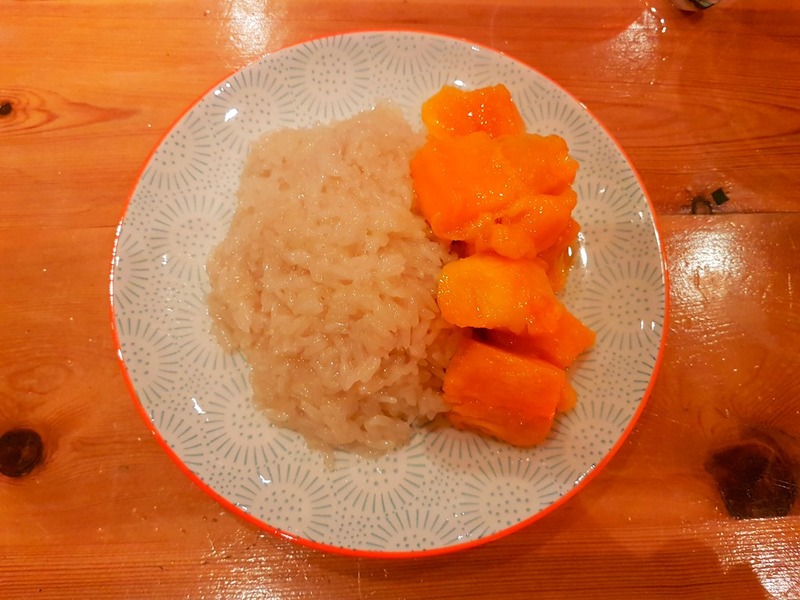 In between navigating transport challenges, I ate a lot of mango and sticky rice in Thailand during my first time there 14 years ago. Now the taste reminds me vividly of dusty, sticky days schlepping up and down the Southern coast. 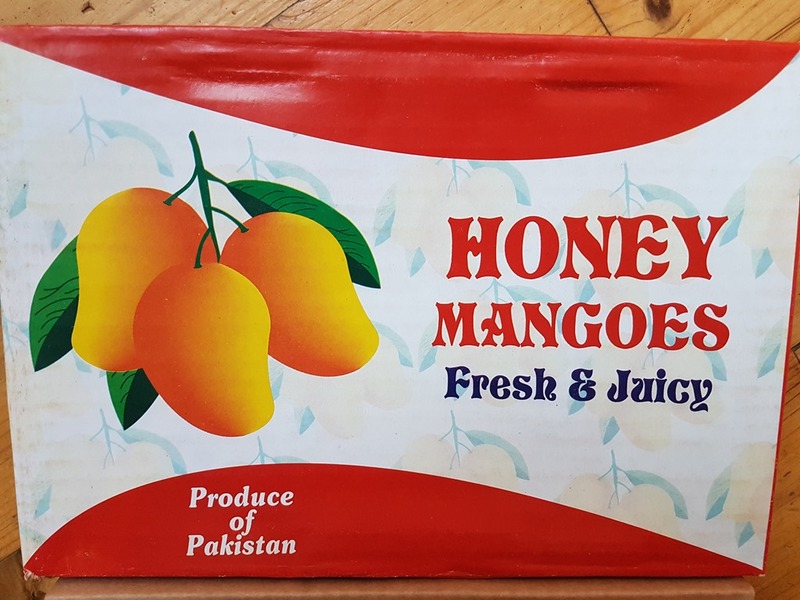 No matter how hot or humid the weather, I always had room for this pudding grabbed in a hurry from a street vendor, usually outside a bus station or in a market. The bus station in the small town of Trat had a covered market next to it that served the best version that I have ever eaten (as well as the most incredible Pad Thai) and I looked forward to every bus interchange there simply so I could get more pudding. 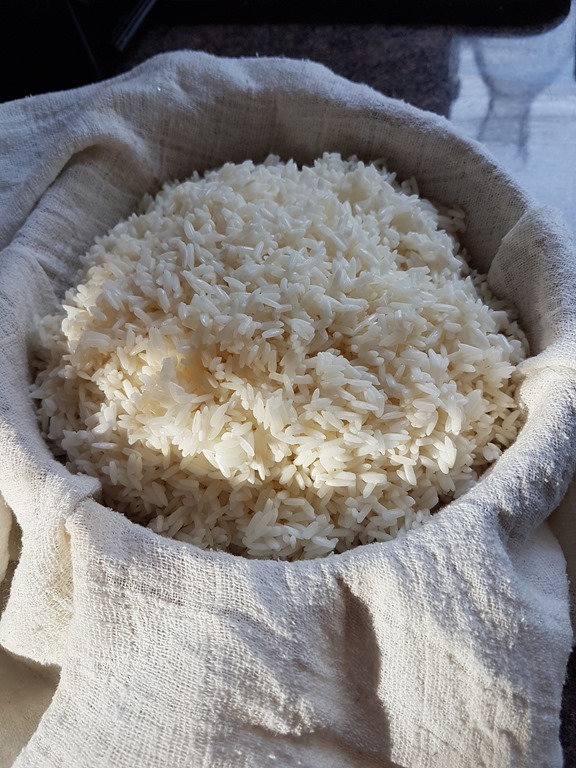 A generous puck of sticky white, black or red coconut rice would be served warm in a plastic bag alongside some wedges of ripe perfumed mango in a polystyrene tray. 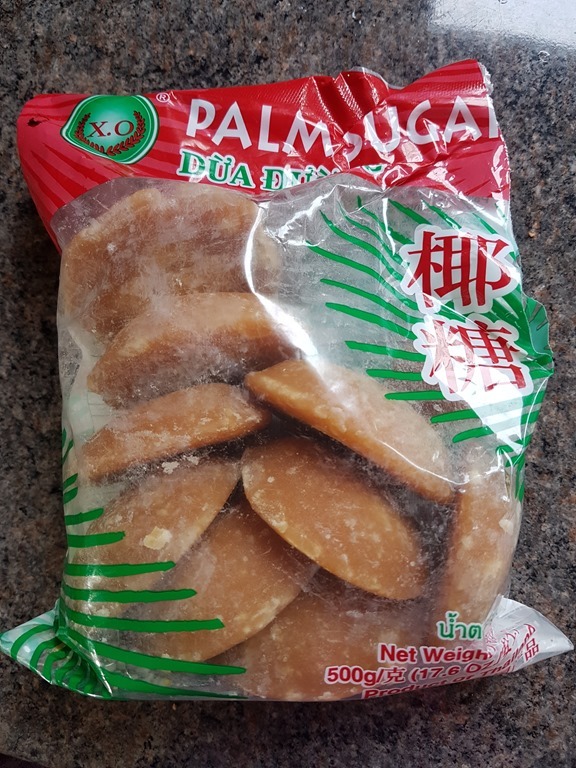 Despite the environmental packaging disaster (Thais love to put all street food in multiple plastic bags, with straws and poly trays), it was and remains a combination to DIE for. 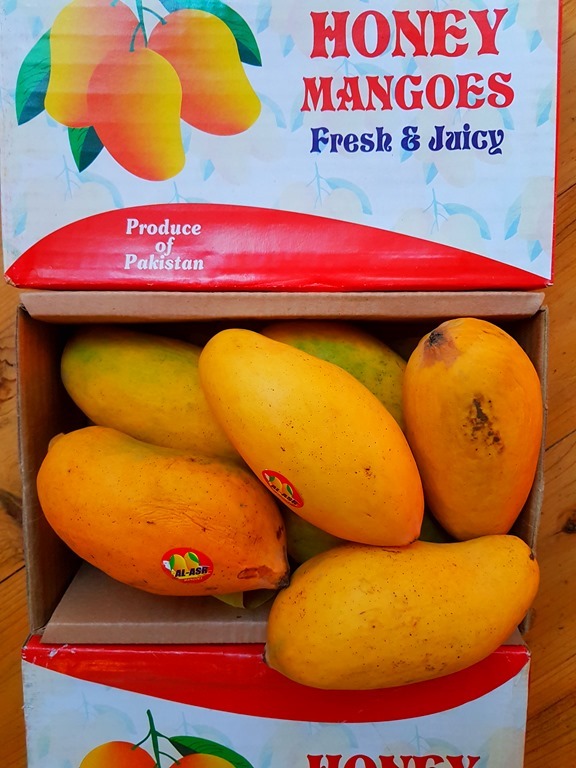 The salty-sweet rice is the perfect partner for the aromatic mango. It works in a similar way to the concept of salted caramel – salty, sweet, moreish and chewy. Fnnnghhhhhh. 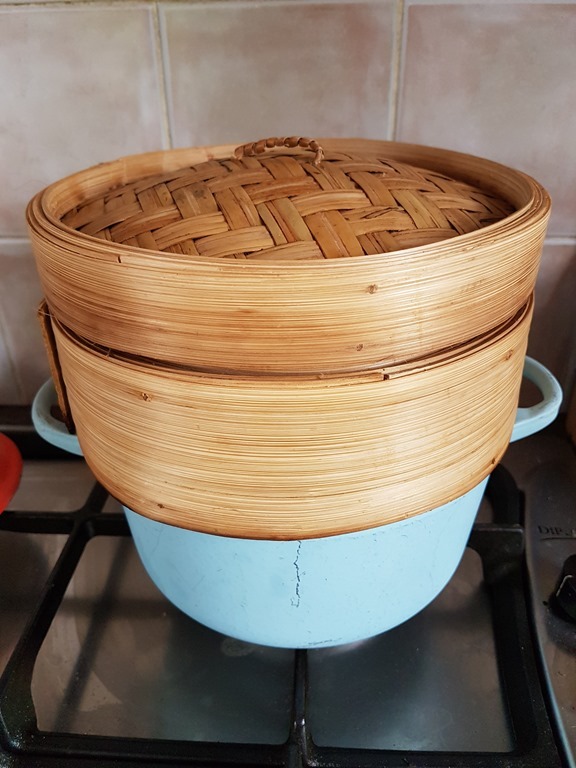 I’ve now discovered how to make it myself, as getting to Thailand in the near future is proving a challenge. 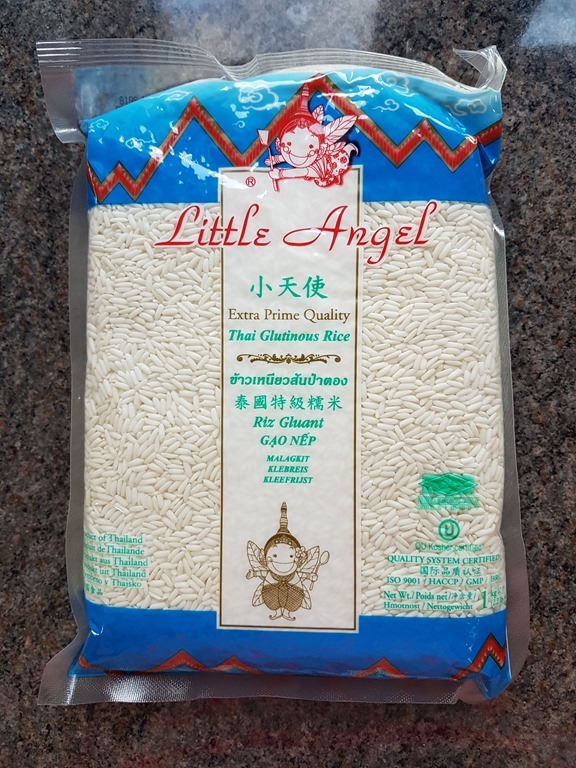 Recipe makes enough rice to serve 6 generously. 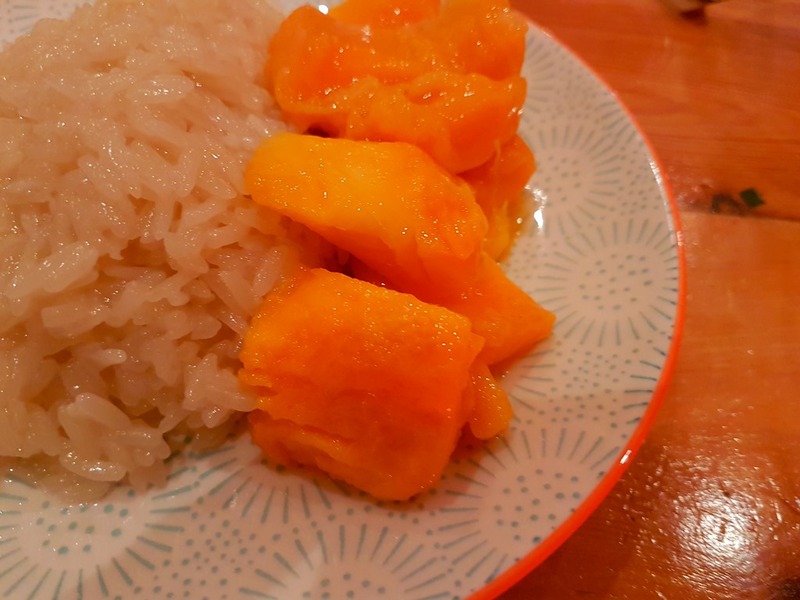 To serve, place chunks of mango (or other fruit) on a plate and put a scoop of the rice next to it. Spoon over a little more of the coconut sauce. Devour. 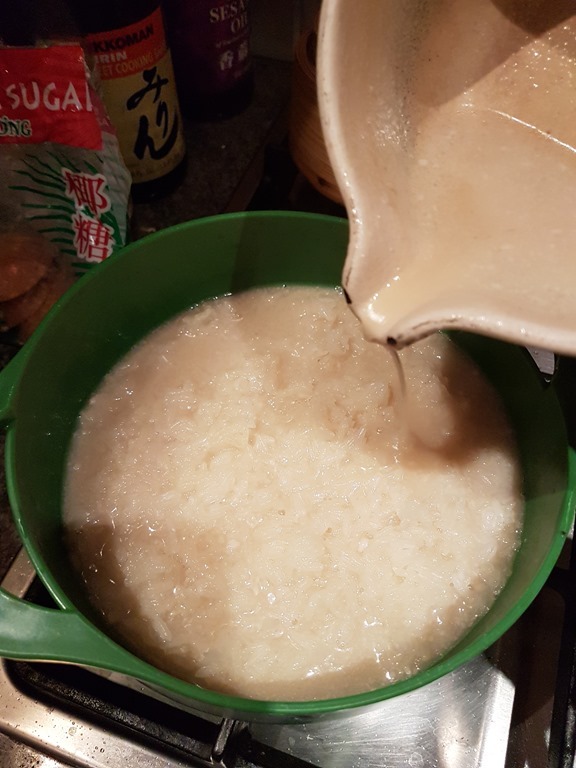 If you have leftover sticky rice, keep it chilled in the fridge and then revive it by heating it in a saucepan with a little more coconut milk/any other kind of milk. Becomes a bit like rice pudding and is just as delicious.